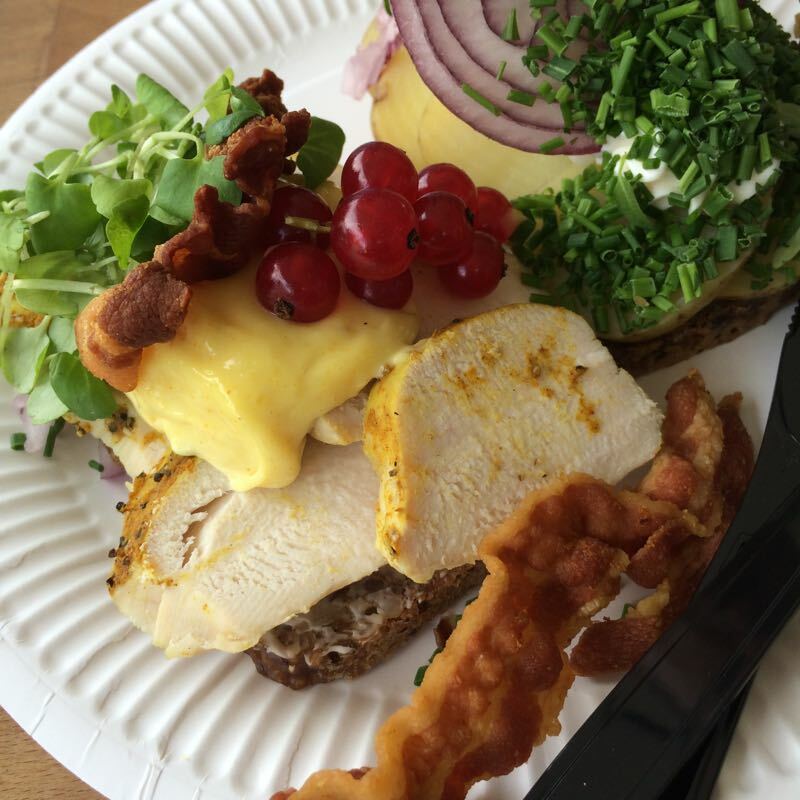 This is post #7 of our 2016 Copenhagen-Stockholm 2016 trip. 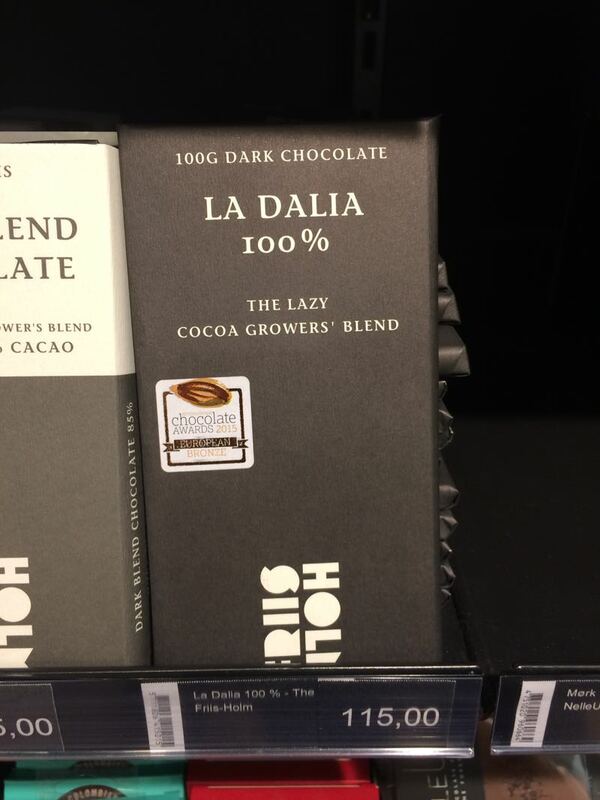 Tuesday morning I had my passport, my receipts from the Marimekko store (for my VAT refund) and the idea that I would find chocolate at the Magasin store, and so I descended into the Metro station, determined to figure this out. I was in the elevator with a nice young woman and her buggy-with-a-baby, and she explained it all to me as we descended. Which went really well, until she said, “to get on, you just swipe your pass here,” and indicated the place, only I had no pass. She smiled and I waved good-bye as I went up one flight of stairs to the convenience shop, which I’d been told would sell me a ticket. Nope, so I went up one more level to find the ticket machine, where I had my escapade mentioned in the last post. But finally getting my ticket, I went back downstairs three levels and got on the nice shiny new Metro car and went one stop to the Magasin Department Store, which is kind like our Nieman Marcus, or equivalent, I guess. When I got out, it was raining –or– misting very heavily, and of course, the forecast said no rain, so my umbrella was at the hotel. I always check for earrings, or some other costume jewelry to purchase, but all they had was real gold and real silver, so I asked where the VAT refund was and they said top floor. I found the place, but there was a line. I’d read somewhere that you have to take a ticket whenever you stand in line, so I grabbed one from the ticket dispenser and waited my turn. 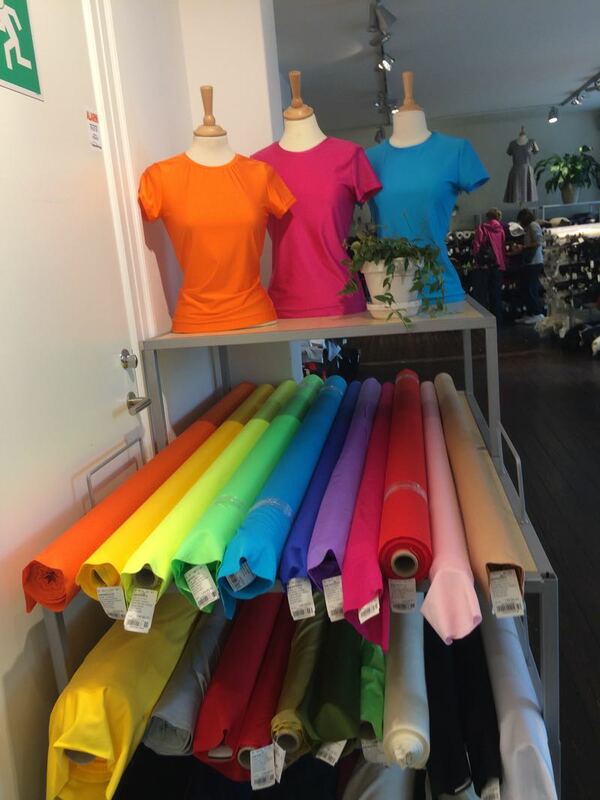 It was all for naught, as apparently there are two VAT refund companies at work in Scandinavia and the one Marimekko used was not the one that could refund money at this place. But I could show it at the airport, she said, which sounds great until you’ve done it once, and I had, so I realized that I’d just donated to their tax-dollars-at-work system. 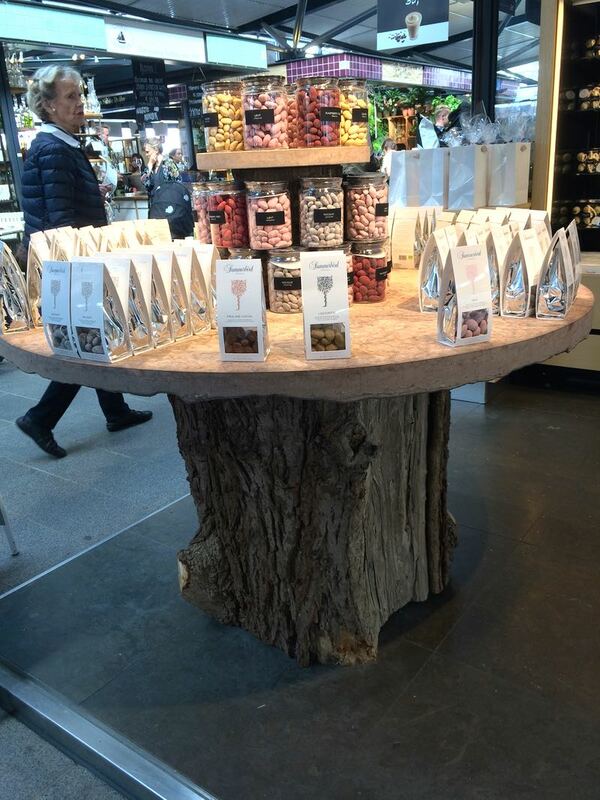 But I could investigate the chocolate! 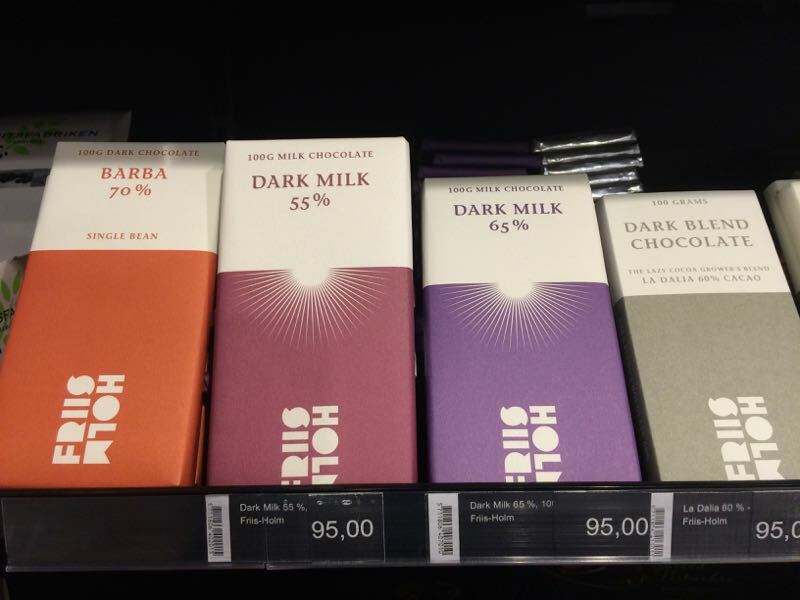 The chocolate, according to the woman I met at Nyhavn, was in the basement, which was under construction, but I found the rows of shelves, and immediately started to try to calculate the prices. The bars at the top run about $14 and the one at the bottom is $17. 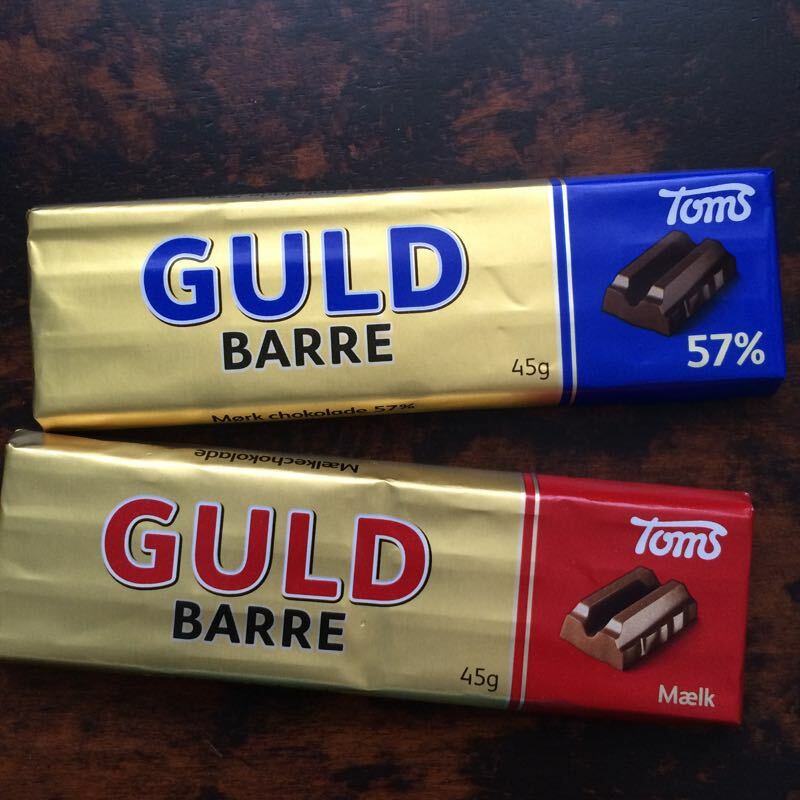 I found a young woman to help me, and she steered me to Guld Barre, the ones at the top of the post. 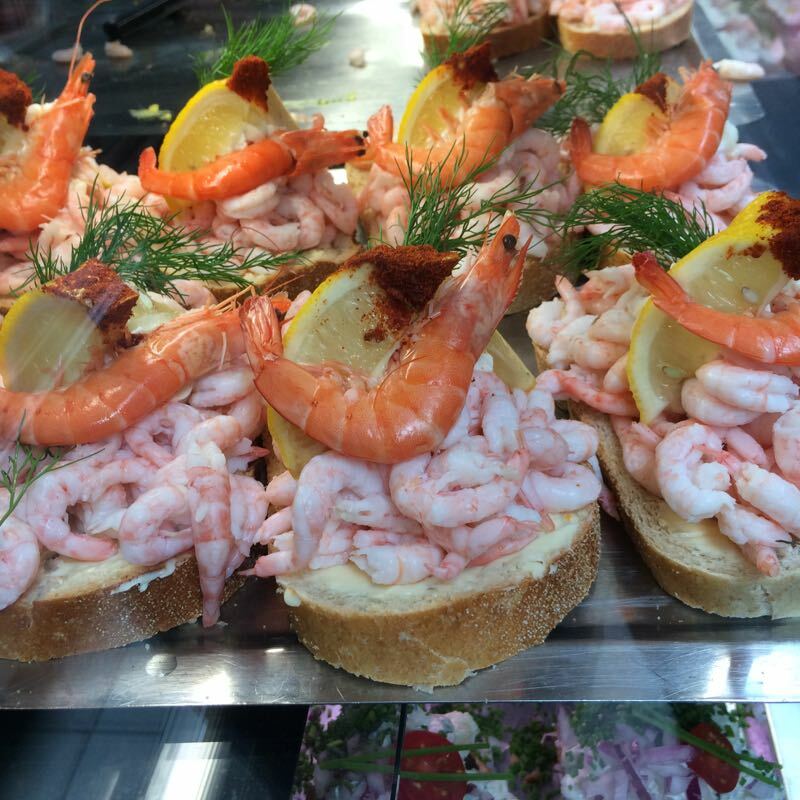 They were around $1.50–much more affordable. I was going to walk on further, but because of the rain and the anxiety about finding my way around the Metro and their convoluted ticketing system for tourists, I decided to head on back to the hotel. I could buy a 24-hour pass, but the price was around $20 and I didn’t think it would be cost-effective, given that the bulk of the area I was going to move in was away from the two Metro lines. 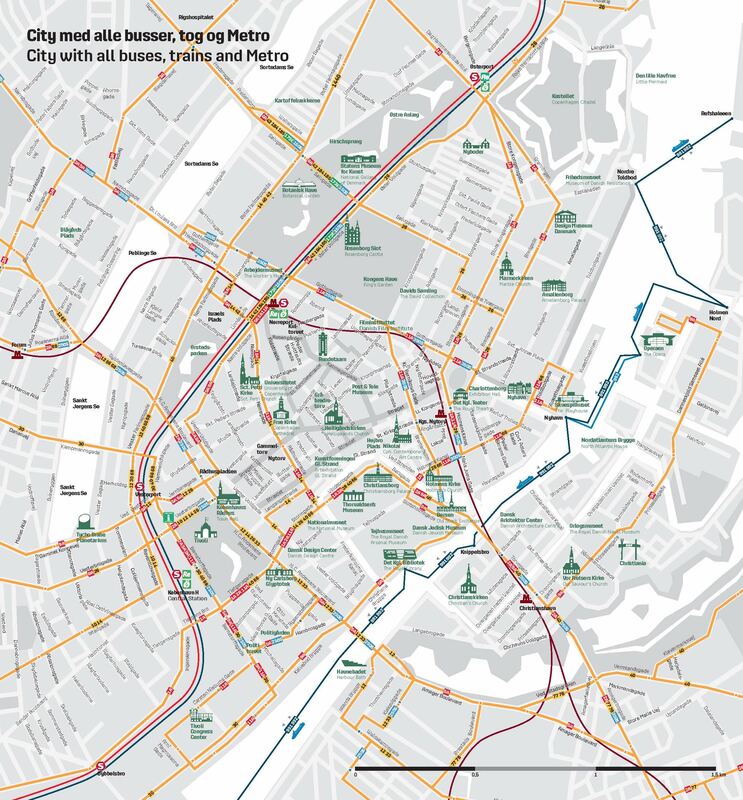 It wasn’t until I found this map (full-size here, in case some else can use it) that I began to survive the Copenhagen Metro system. I downloaded it onto my phone and continually pinched it larger to navigate around town. But for now, I just wanted to head home. 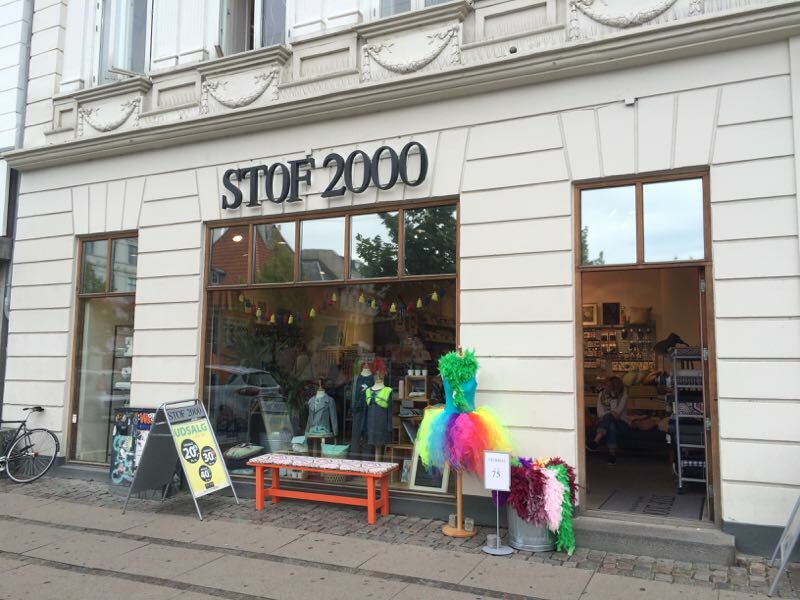 I knew what Stof meant: fabric! Since the sun was now shining, I took that to be a sign, so I went in and explored. It was on two levels, small, with similar fabrics on the second floor as on the first, with variations. 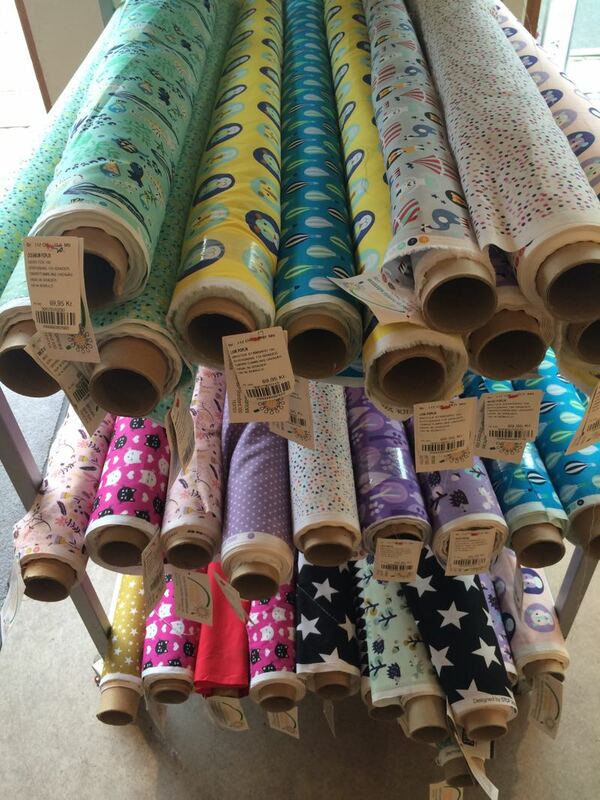 I purchased a half-meter off two of these rolls of cotton. “Small suitcase,” I explained to the woman, when she asked “only a half-meter?” and who was most helpful. 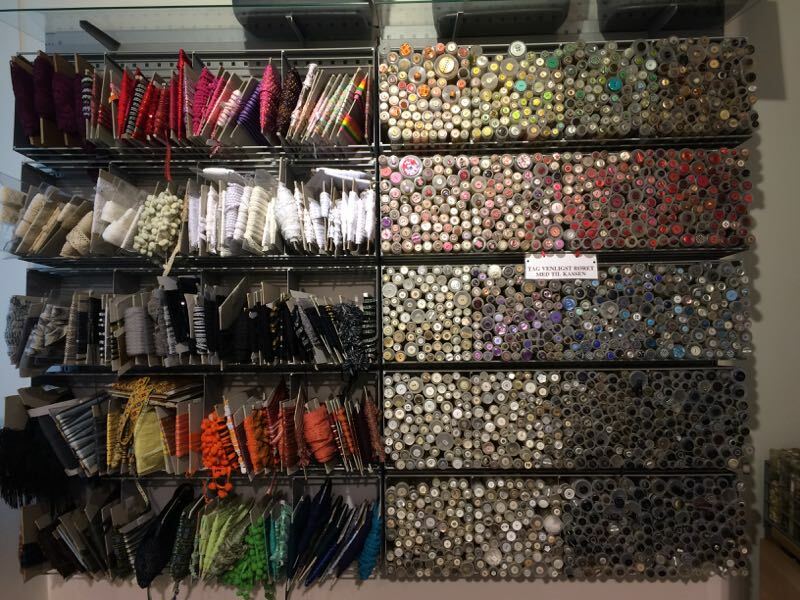 I also purchased some buttons, shown here in their tubes (right). 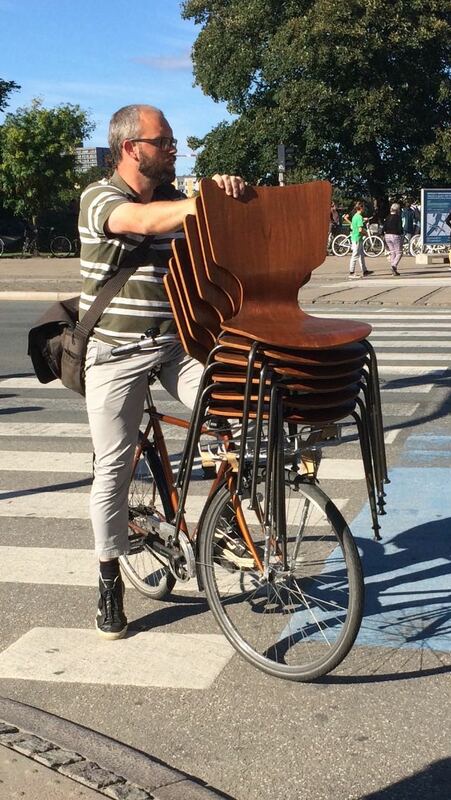 When we met up again, Dave showed me this great snapshot of a man carrying chair on his bicycle, snapped while Dave was walking back to the hotel. 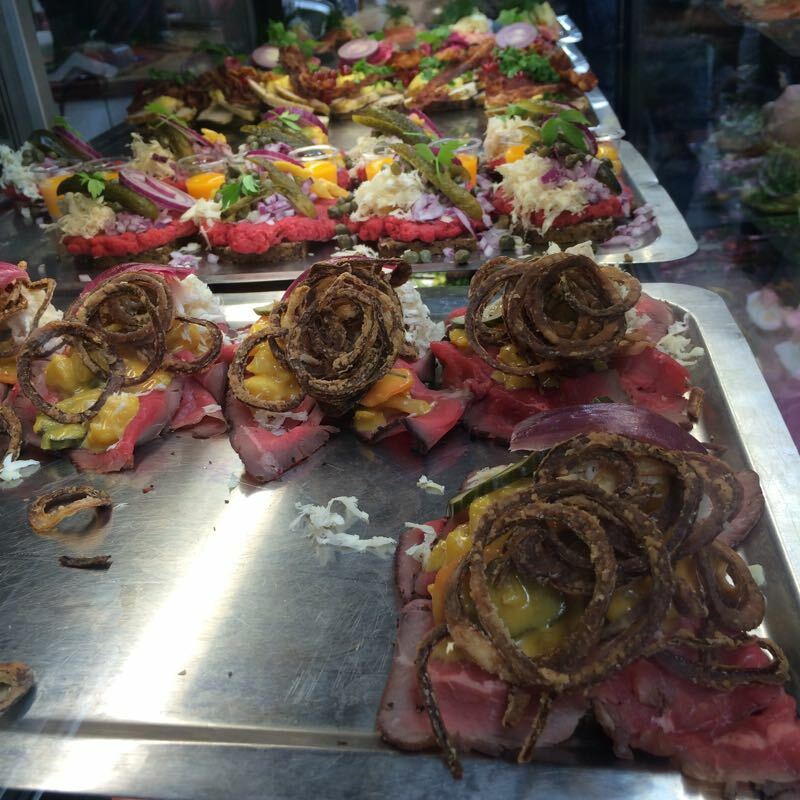 We went over the Food Hall and gazed at the sandwiches. 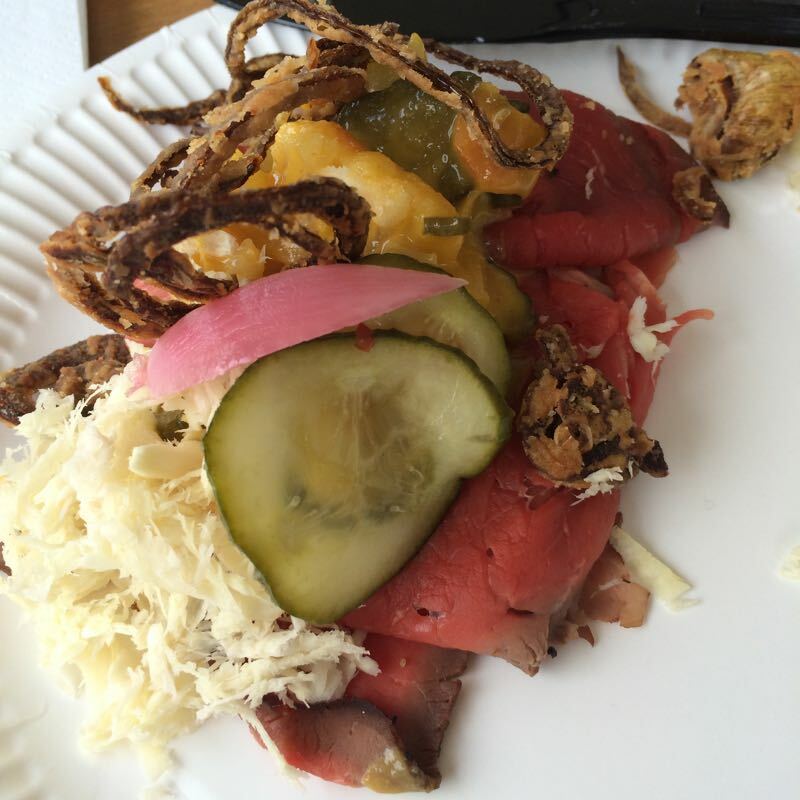 …roast beef with shredded horseradish, crispy onions and mustard pickles as well as dill pickle slices. 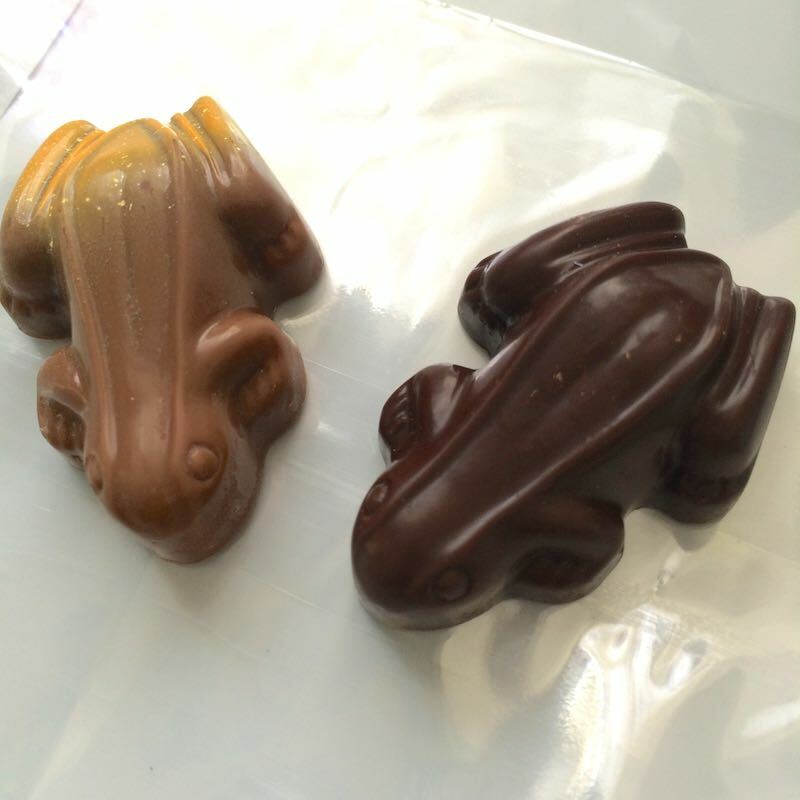 We sauntered over to the chocolate that I’d seen before: filled chocolate frogs. 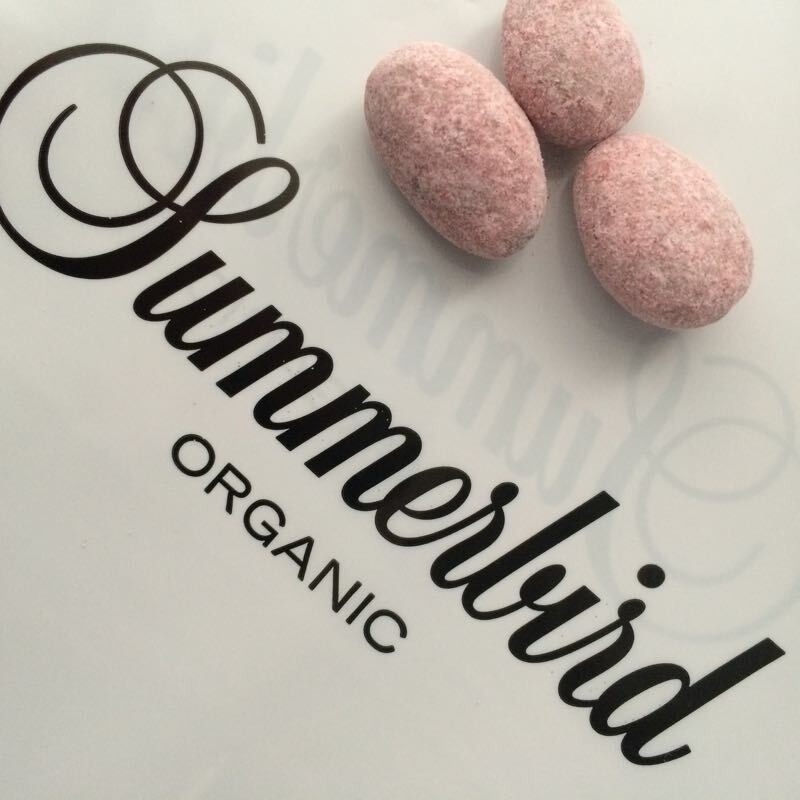 Across the way was this small shop: Summerbird, with its chocolate-enrobed almonds. They let us try a few, and we liked the mint the best. It’s coated in rhubarb powder to make it pink. 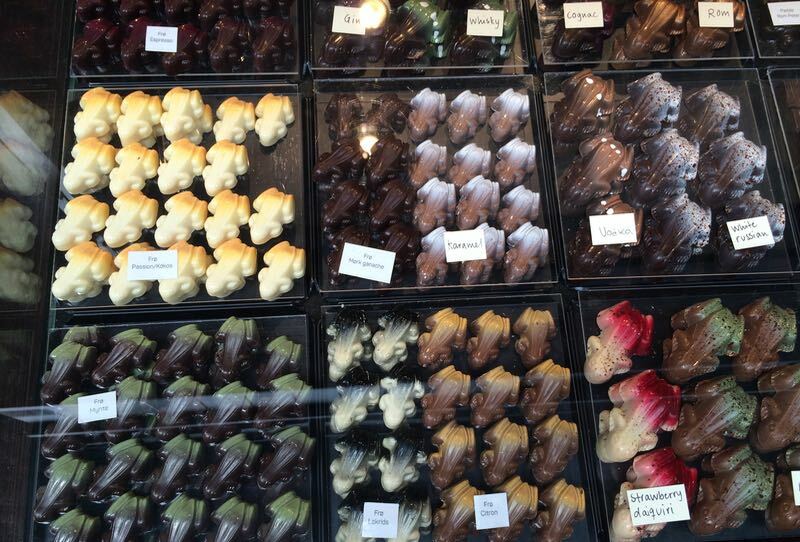 The lemon and the chocolate frogs came home with us. Time for a break, so Tuesday afternoon found us trying to ignore all the sounds outside our open windows, while catching a few minutes of sleep, a tourist’s prerogative. 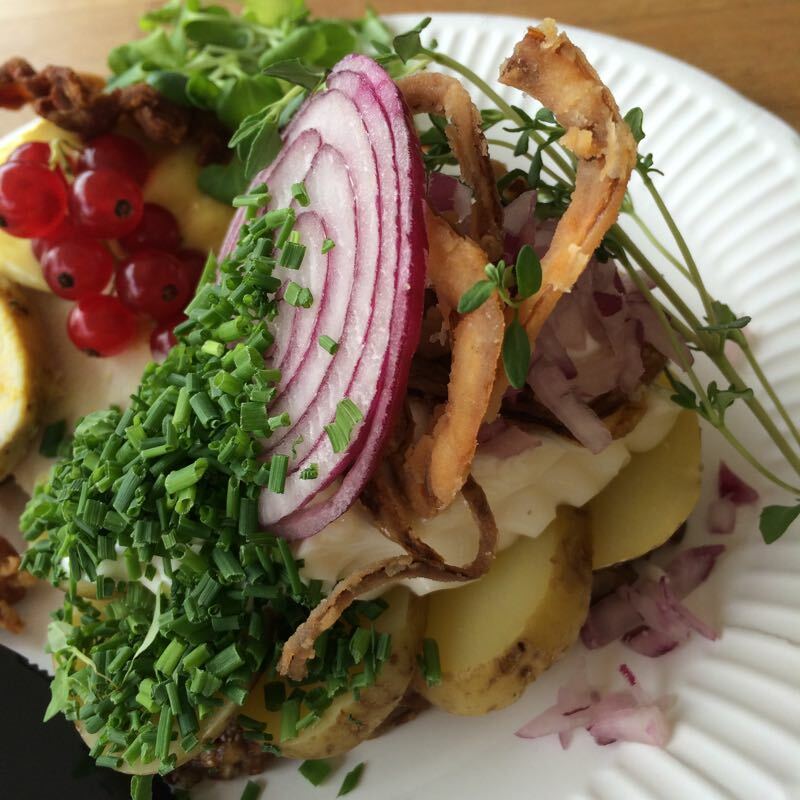 This is post #6 of our 2016 Copenhagen-Stockholm trip. I can’t resist it any longer. 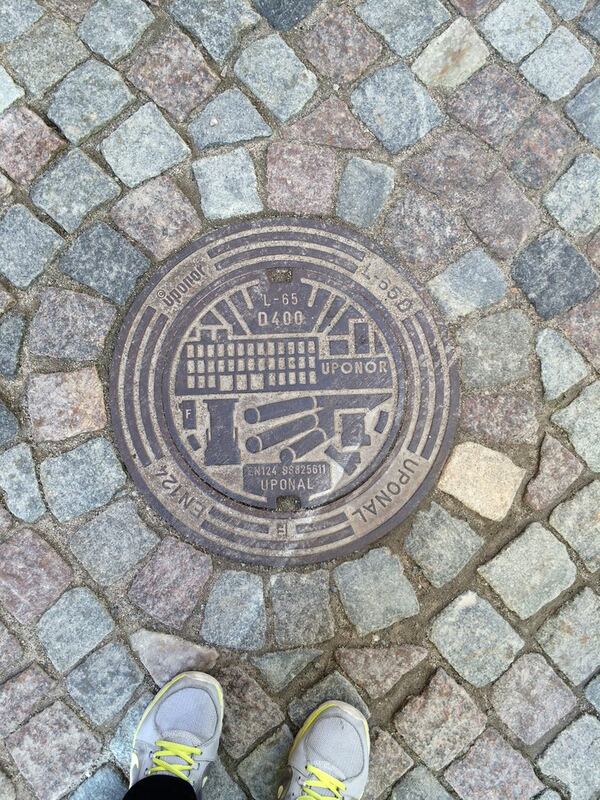 Here are all the manhole covers we saw in Copenhage and Stockholm. 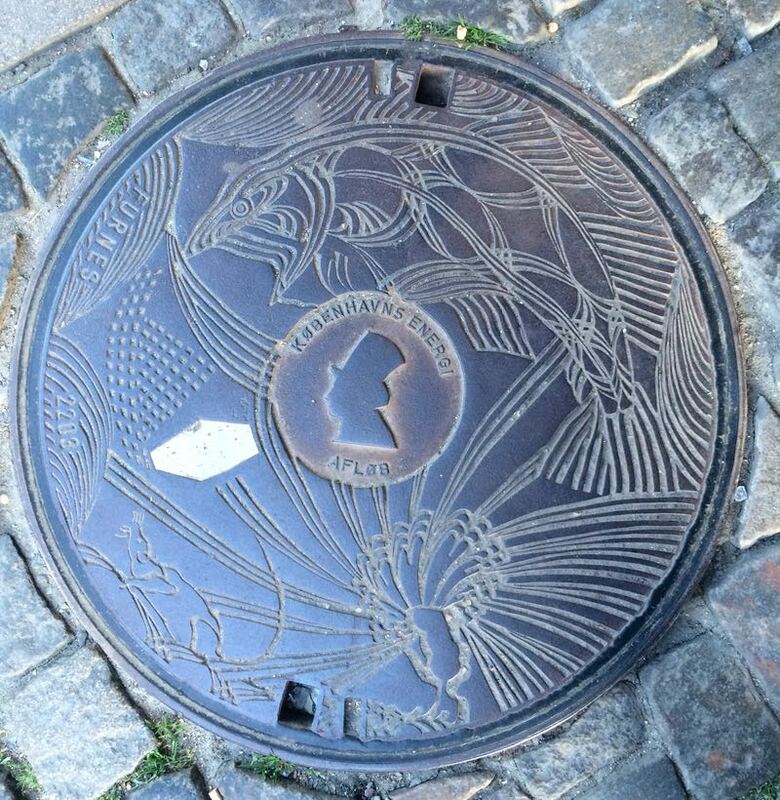 Just to give this a lofty air, manhole covers date back to ancient Rome and were made of stone. 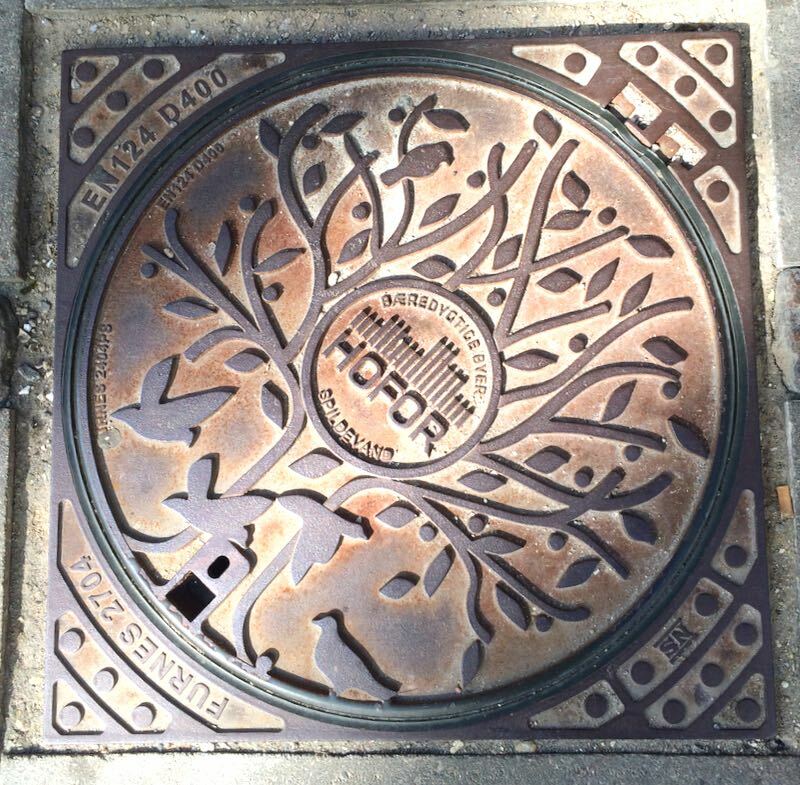 There’s even been several books written about them; one title is “Drainspotting.” Clever. Look carefully at this one. . . and then the next one. 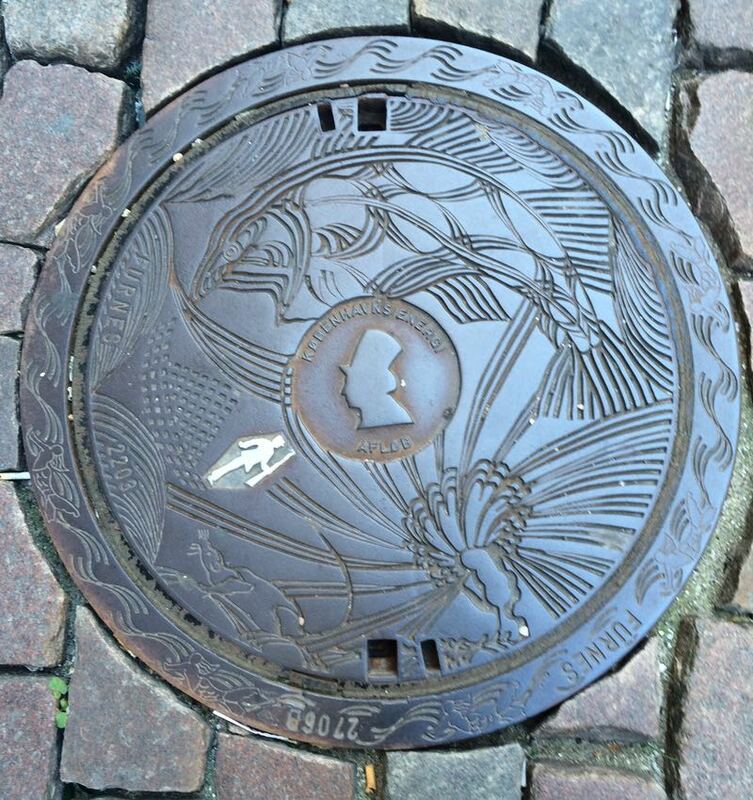 It’s one of Hans Christian Andersen’s stories “The Brave Tin Soldier.” In the lower manhole cover, he is in the water (remember he only had one leg) about to be eaten by the great fish. 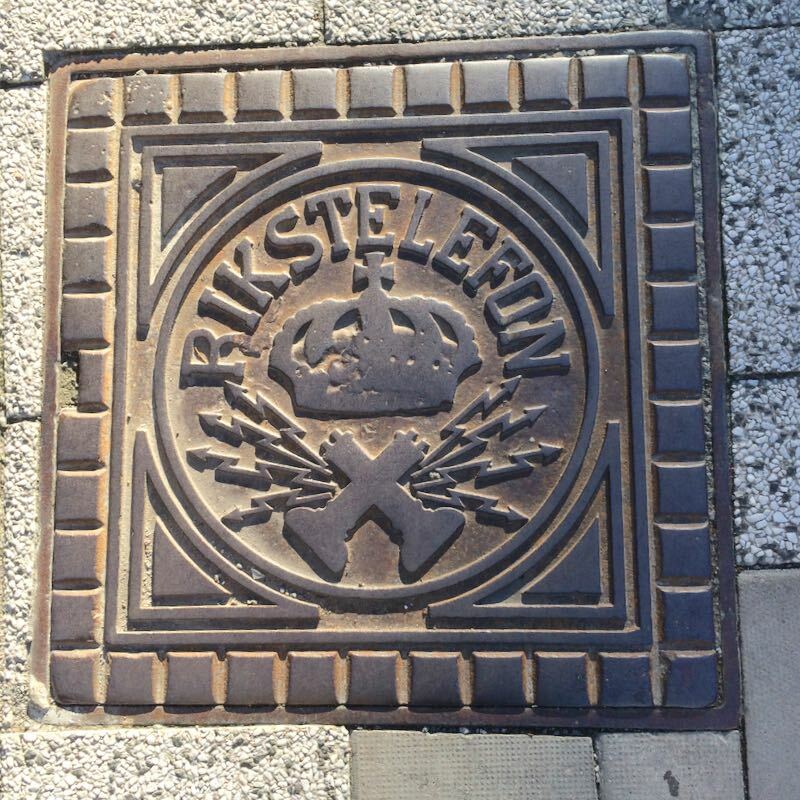 I don’t know what happened to the top manhole cover, but the tin soldier is missing. 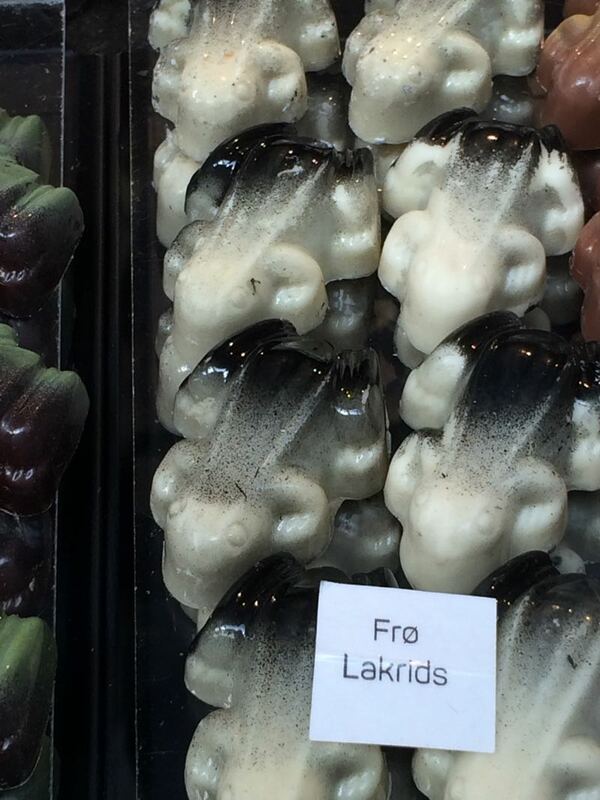 Obviously these are from Copenhagen, Denmark. 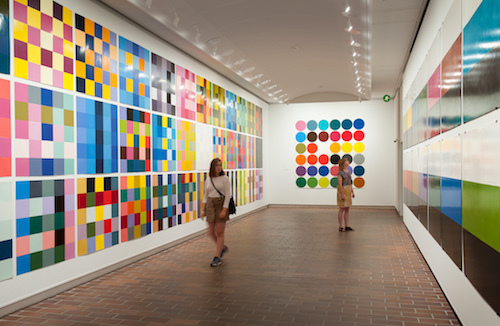 I was sitting beside sleeping Dave, trying to shake off his illness, browsing Things to Do in Copenhagen, and found news of this exhibit. I then did multiple searches on him, finding his quiltish motifs irresistible, like visual catnip. 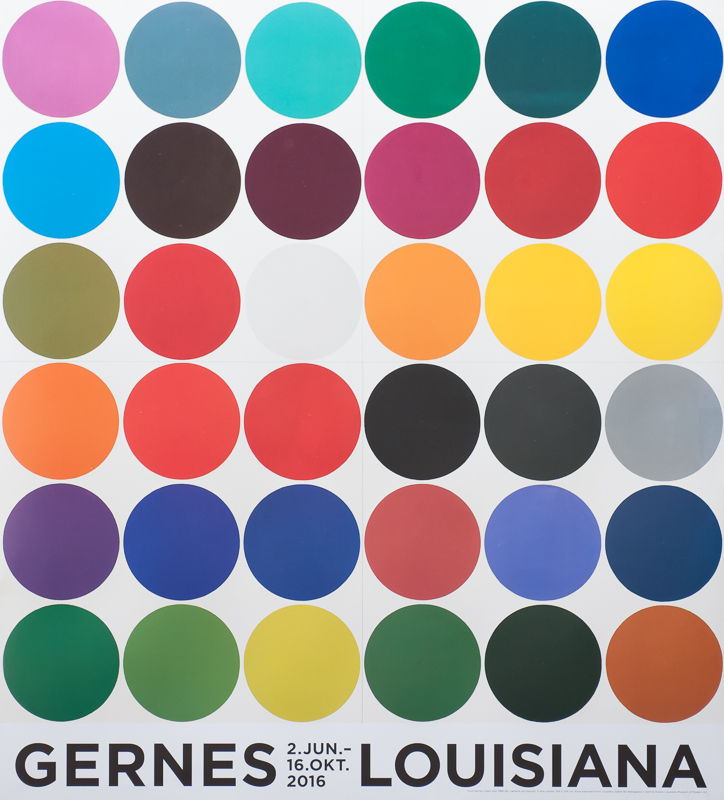 Here’s some of his works installed at the Louisiana, a complicated train ride away. How do I know that it’s complicated? That morning, when I’d tried to buy a Metro ticket to the Magasin Department Store, a couple from Italy showed me their paper with the directions (train connections) out to the Louisiana, written in English. So I tried to help them. They had a credit card, and it appeared that this machine would accept it (that was our problem in the airport–the machine “didn’t like the card” according the to man helping us, so we had to try a different machine). So that morning, the Italians (the woman spoke very limited English) and I selected what we thought was the ticket, only it didn’t like that, and cancelled the selection, without any information about why. We tried again, but now it showed they were buying four tickets, not two, and we couldn’t find a way to have it be just two tickets. 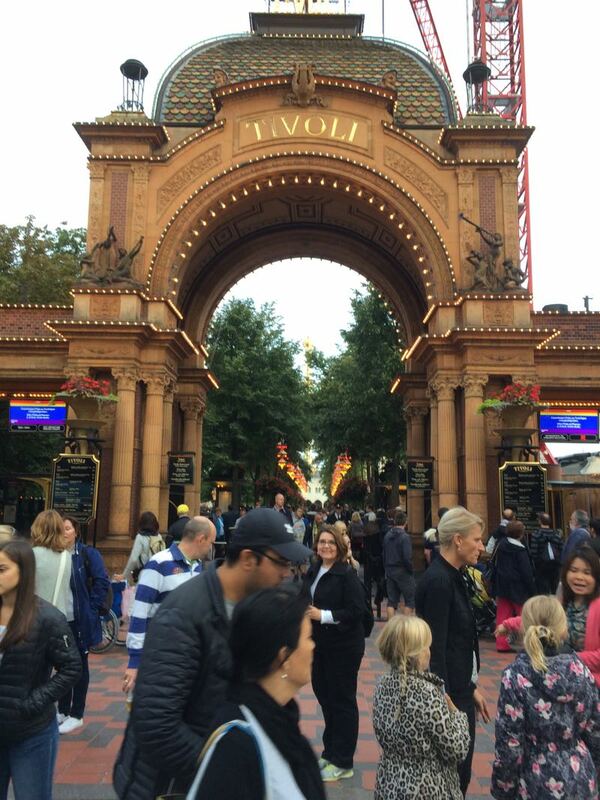 Of course, there is not an agent in sight, only a line-up of tourists behind us. So I tried buying my ticket, which went through, and now which creates another problem. Once you buy a ticket, you have one hour to use it or lose it, so now the clock is ticking for me. I turn to the couple behind me, who were from Britain, explained the situation and they took over, as I scampered down three flights of stairs to catch my train. So when another day presented itself to head out to the Louisiana, I’m afraid I chickened out. 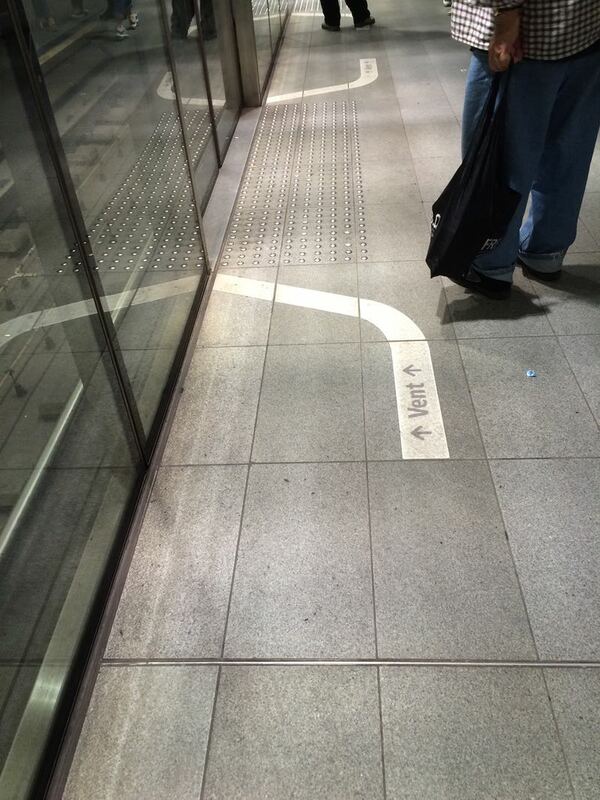 I found out only LATER, that at my station, upstairs, before you even go to the train-ticket-buying level (which is NOT the same level as the train-taking-level) there is a person there who can help. I guess I just didn’t want to be that far away from Dave. 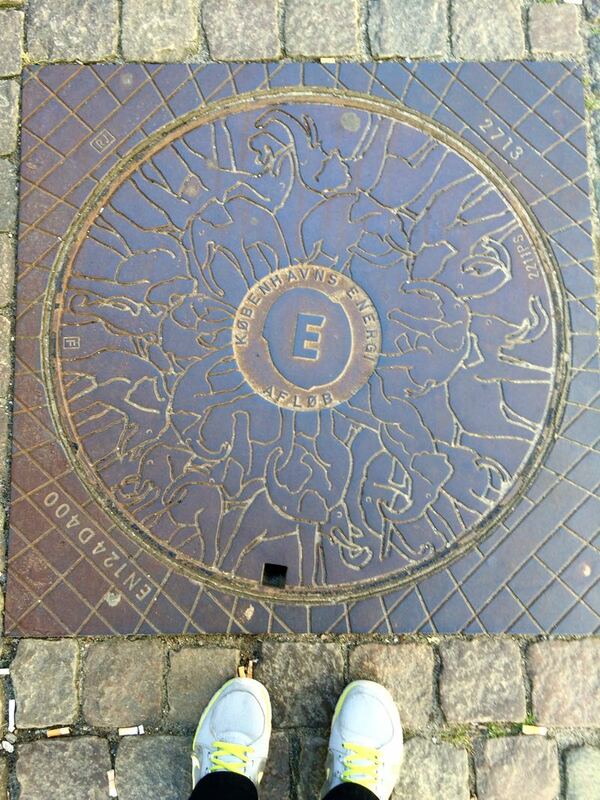 Now back to the manhole covers. 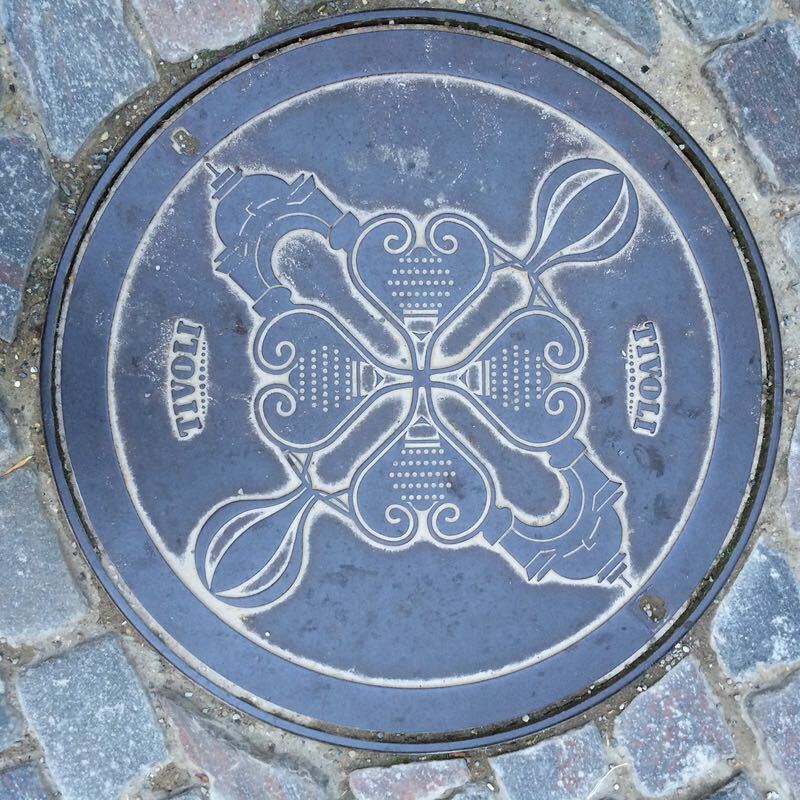 I think UPONOR does sewer, drainage sort of things, but I did love the way the cobblestones are set in a circle around this one. 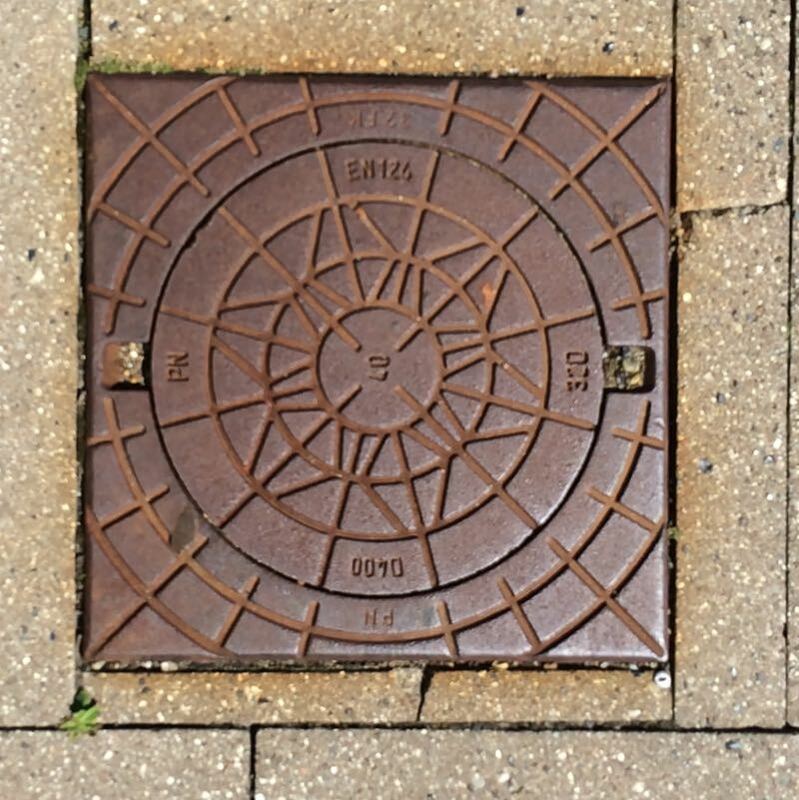 The question of why manhole covers are typically round (in some countries) was made famous by Microsoft when they began asking it as a job-interview question. 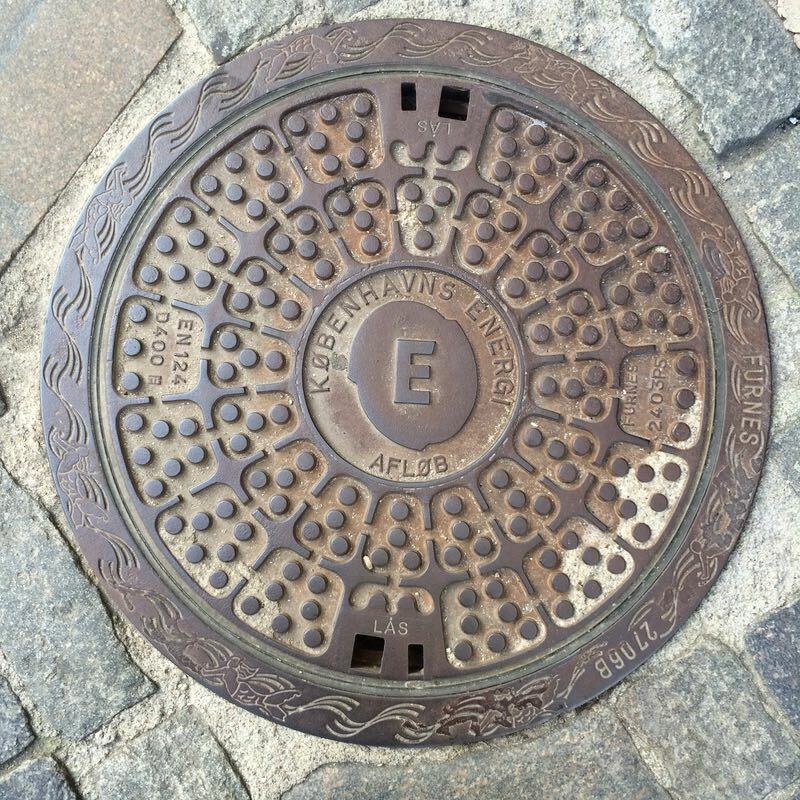 Originally meant as a psychological assessment of how one approaches a question with more than one correct answer, the problem has produced a number of alternative explanations, from the tautological (“Manhole covers are round because manholes are round.”) to the philosophical. 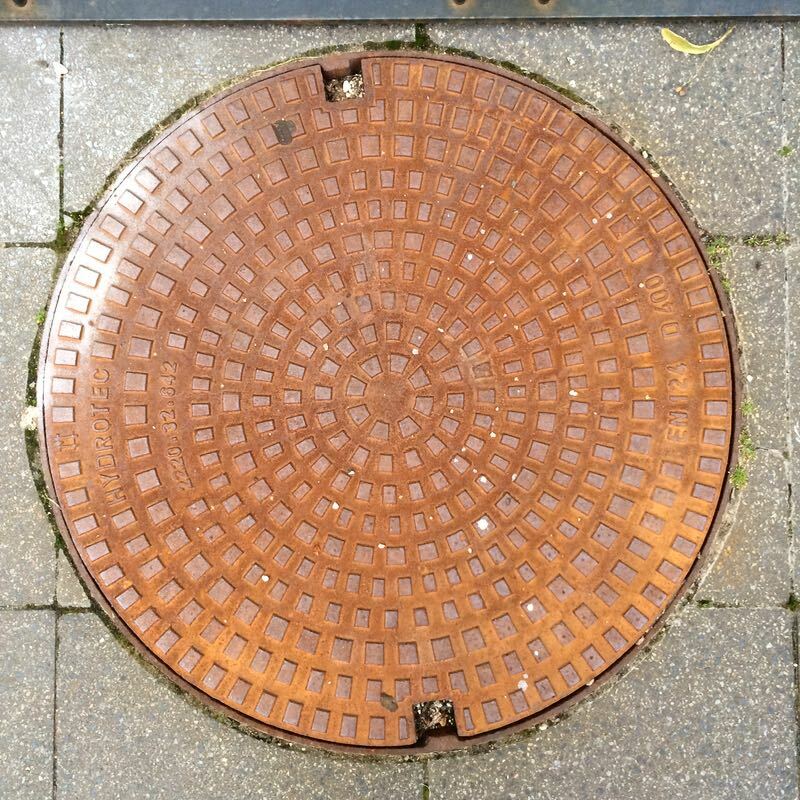 The bearing surfaces of manhole frames and covers are machined to assure flatness and prevent them from becoming dislodged by traffic. Round castings are much easier to machine using a lathe. Honestly, I’ve never thought about why they are generally round (some are not), but I just enjoy them when I see them!